Christine here today to share a new card that I made using one of Wendy's gorgeous new images.... this one is called Happy Christmas Little Star and is available HERE at the All Dressed Up Digi Designs shop. 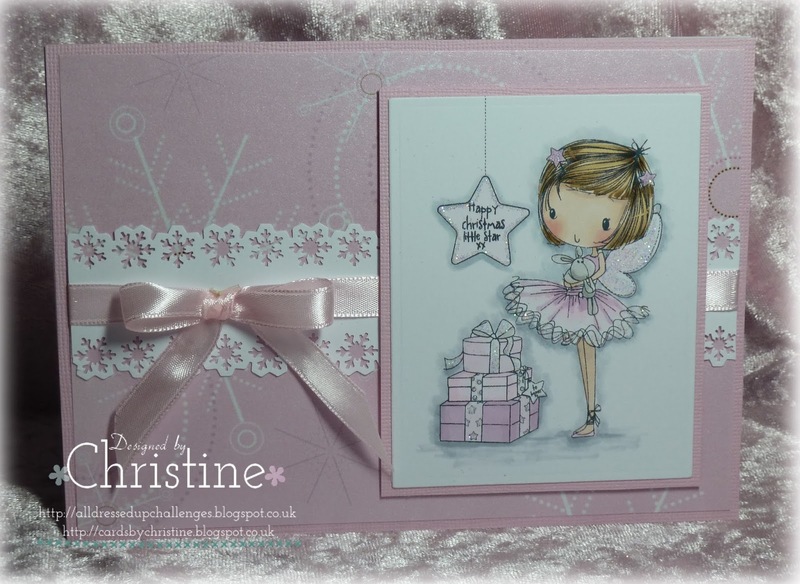 Being a lover of pink - I thought it a perfect colour to use for this sparkly Christmas fairy. I'd love you to pop over to my blog - Cards by Christine - to check out the details. Wow that is lovely. The image is also gorgeous too I am adding it to my wishlist. She is just Super Stunning ! Looooove the colours! I have to have her! Just beautiful!!! I'm so happy I bought her!!! I adore the pinks!!!!! Perfectly adorable! I LOVE all that pink too. A beautiful card.